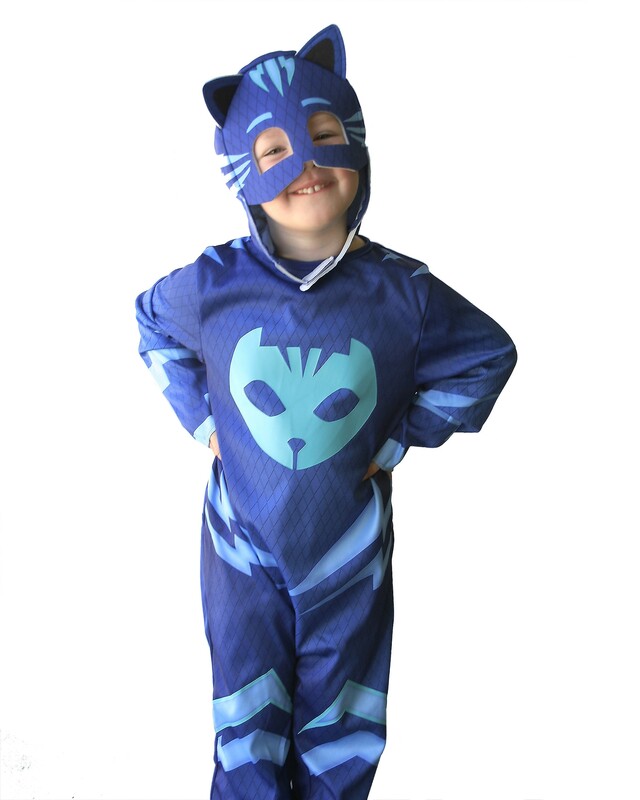 Catboy is the leader of the PJ Masks trio and the oldest too. Incredibly fast, amazingly agile, he can hear the quietest sounds across unbelievable distances! But he's also afraid of water! 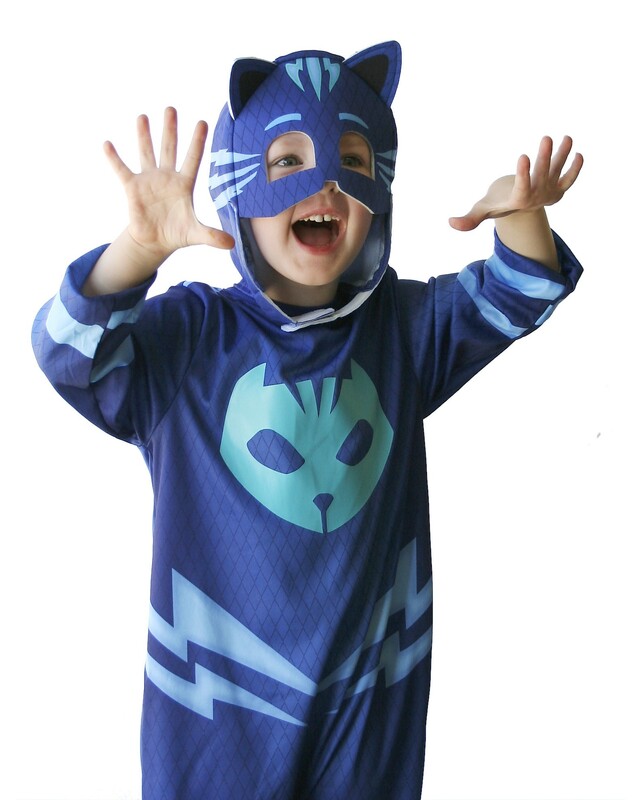 Still, when adventure beckons, the amazing Catboy leaps to the rescue with his acrobatic moves. 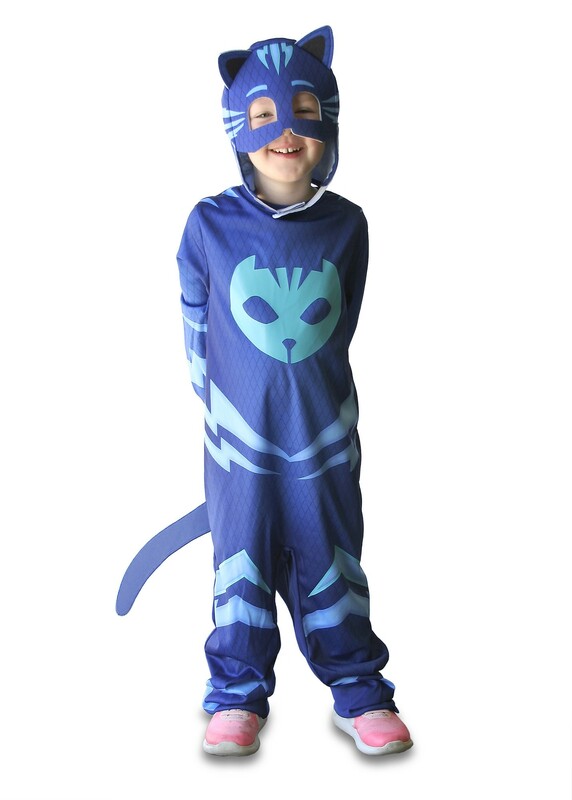 And in this amazing costume, you can even be seen in the dark. How cool! Available in child size 3-5, height 95-120cm. 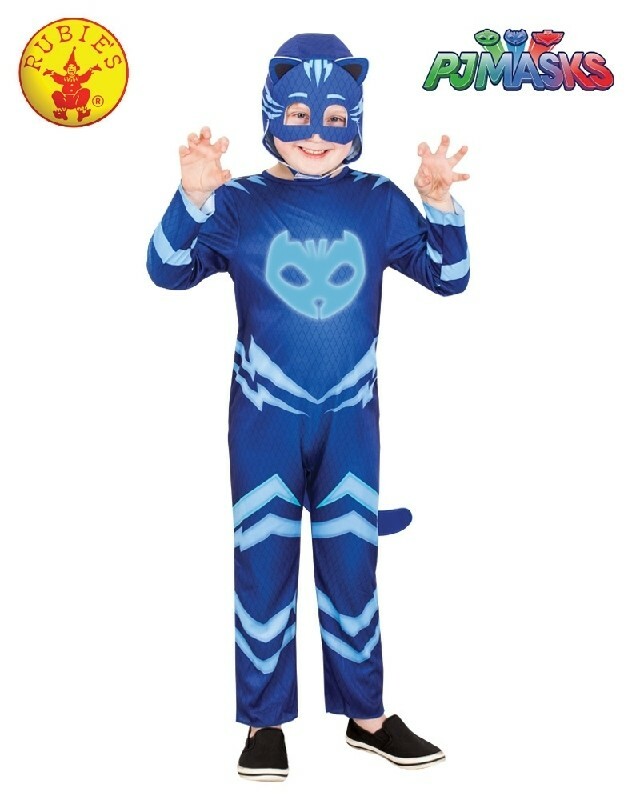 This is an officially licensed Rubies PJ Masks costume.